Martha's Vineyard has been the source of some of Napa's most distinct Cabernets for more than 40 years. A few weeks ago at Wine Spectator's New York Wine Experience, Heitz Cellar was pouring its 2007 Martha's Vineyard Cabernet. Those who sampled the dark-hued wine tasted a piece of Napa Valley history, a unique expression of terroir that defined the excellence of Napa Cabernet. But few people know the story of the man behind the vineyard. Grapegrower Tom May, who passed away this spring at age 83, sold the first Martha's Vineyard grapes to Heitz in 1965. 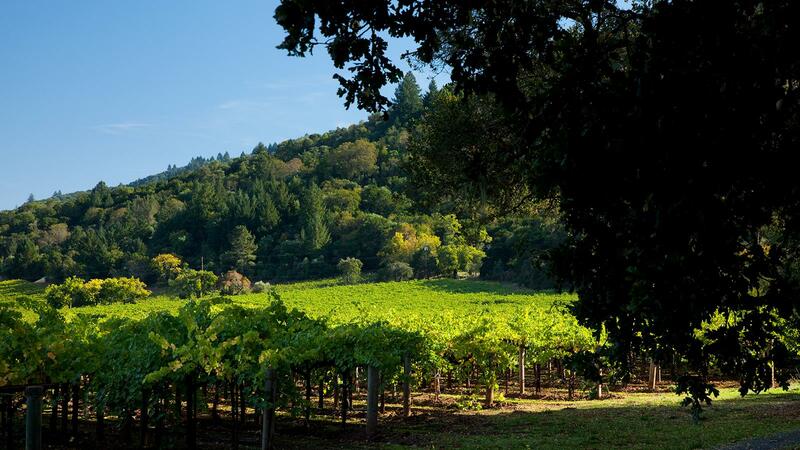 Heitz Cellar Martha's Vineyard has an exalted position in the hierarchy of Napa Valley Cabernet Sauvignons. The Heitz Martha's Cabernets of the late 1960s and '70s were among the finest in Napa history. In recent years, the wine has returned to form, rejoining the upper echelons. Many know of the Heitz family, but May and his wife, Martha, for whom he named their vineyard, kept a low profile. They bought their Napa property in the early 1960s, and ended up becoming part of the valley's 1960s wine renaissance, when the number of Cabernets increased from a few dozen to more than a hundred. The Mays met the Heitz family after enjoying two bottles of Heitz wine left behind as a welcome gift by the home's previous owners, Belle and Barney Rhodes (the Rhodes' Bella Oaks Vineyard was another of Heitz' longtime sources). May was a biology teacher in Ojai, Calif., before moving to Napa. He learned grapegrowing on the job, with the benefit of Joe Heitz' advice (Heitz was a winemaker at Beaulieu Vineyard for a decade before founding his winery in 1961). Heitz was so impressed with the quality of May's grapes that he was inspired to create a single-vineyard labeled Cabernet with the 1966 vintage. Their partnership lasted until Heitz' death in 2000; Heitz' son, David, succeeded his father as winemaker, and the families' relationship continues to this day. Tom May and Joe Heitz were a contrast in personalities, and the Napa wine industry needed both types in those early days-reserved and quiet leaders behind the scenes, like May, and more public, outspoken promoters like Robert Mondavi and Joe Heitz. "Tom had a wonderful spirit," says Heitz' daughter, Kathleen Heitz Myers, president of Heitz Cellar. "He always had a twinkle in his eye." May was an early environmentalist, says his wife, Martha. "He was a member of the Sierra Club, and a great believer in leaving the land as it is and not trying to change everything," she said. "If there was a tree in the middle of a vineyard you didn't have to remove it, or if you had a hill in the middle of the area you didn't have to flatten it." Early on the Mays dry farmed their vineyard, only adding drip irrigation later when drought years required water to start new vines. Martha recalled a family dispute with Tom over whether they should add a well to the property. He resisted until she insisted. "We needed water for the house!" she laughed. May was also among the first to embrace organic farming, decades ago, at a time when many, including Heitz, were skeptics. "Tom really embraced [organic] before many people did," says Kathleen. "We wondered if we really need to do this, but we learned over time that our wines were more balanced and healthy." Grapegrower Tom May with his wife, Martha, and their daughter, Laura May Everett, and son Richard May. The relationship between Joe and Tom demanded compromise. "[Joe] and Tom, they were both their own person, each strong in their own way, their beliefs and morals," recalls Martha. "They were trustworthy. For all the years of our doings, we had handshakes." Martha's Vineyard Cabernet has a signature flavor profile that many can pick out of a lineup; it's prized for its unique mint, currant and chocolate notes. It's also distinctive for its exquisite balance and ability to age. Martha's Vineyard Cabernets have never been overly oaky or tannic, a tribute to the Heitz house style. Heitz and May harvested the vineyard at optimal maturity, yielding ripe and structured Cabernets that seldom had green or herbal scents (beyond the mint). Martha's Vineyard has all the things connoisseurs prize in a great wine. It earned high marks for its distinctive and deliberate style, its character, complexity, depth and balance. Over time, the wines have proven to be relentlessly long agers. The Martha's Vineyard 1968, 1970 and 1974 Cabernets are among the greatest wines I've tasted. While Joe Heitz could be testy and assertive, Tom May was the opposite. But both were family men. Pouring the 2007 Martha's Vineyard at the Wine Experience last month was Harrison Heitz, Joe's grandson. Martha May and the couple's children will continue to hold high Tom's farming standards. In Martha's Vineyard, both Joe and Tom's legacies are secure.